Michael is a Certified Master Facilitator™ and Senior Manager with Leadership Strategies. He has over 25 years of facilitation and management experience across a broad base of sectors including Hospitality, Manufacturing, Consumer Products, Health Care, Education and Marketing. Michael has in-depth experience facilitating sessions with senior level executives, cross-functional teams, clients, vendors/partners and staff in brainstorming, strategic planning and execution, executive retreats and many other high-stakes facilitation needs. Michael uses advanced planning, intuition and an adaptive style in the sessions he leads. Earlier in his career, Michael was a Vice President with North Highland Management Consulting, where he managed strategic account delivery, profitability and growth. In his role as IT Manager at Georgia-Pacific, he led the vendor selection and transition of outsourced services for the end-user computing environment. In over nine years at Procter & Gamble, he became well-versed in Total Quality Management through increasing responsibilities across corporate, divisional and plant-based roles. His client experience covers a wide range of public and private sector organizations including Intercontinental Hotels Groups (IHG), Marriott, The Coca-Cola Company, Centers for Disease Control, Thompson Publishing, Georgia-Pacific, Mariner Healthcare (now Sava), and over two dozen national and local non-profits. He has led several small-to-midsized clients through workshops designed to navigate the unique challenges they face at the various inflection points of growth. 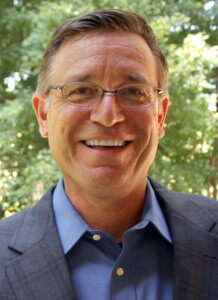 Michael is a long-standing board member of eScholar, a market leader in longitudinal student data. He is a certified professional facilitator through the International Association of Facilitators and has taught facilitation for both internal and client organizations. Michael received his B.A. from the University of South Florida.